Click here for Image Gallery of Saturday Main Event, more pictures and videos coming soon. You must be a registered member to view pictures and videos. If you are not a member yet please register here. Deccan Alumni Association of North America (DAANA) is a registered 501 (c) (3) non-profit organization and represents alumni of Deccan College of Medical Sciences (DCMS Hyderabad, India). 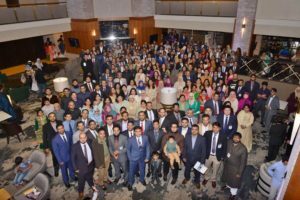 DAANA celebrated its biggest ever global reunion in Chicago, IL from July 27th to 29th, 2018. More than 370 alumni of the medical school traveled from across the globe with their families to attend this unprecedented and historic event. The total number of guests who attended the function was almost 1200. The three-day event included a gala dinner reception on Saturday, July 28th at the Marriott Lincolnshire Resort. Chief guest for the event was her excellency Mrs. Neeta Bhushan, Indian Consul General in Chicago. The keynote speaker was US Congressman Mr. Raja Krishnamoorthi, representing the 8th district of Illinois. Guests of honor included Dr. Harry Ginsberg (Chairman and Program Director of Internal Medicine at MercyHealth) and Mr. Yousufuddin Owaisi (brother of DCMS founder, the late Mr. Sultan Salahuddin Owaisi). The event included an entertainment and comedy program as well as speeches and awards ceremony by DAANA board of directors. Guests enjoyed traditional Hyderabadi cuisine and hospitality thanks to DAANA Chicago reunion committee. The event also included a private cruise on Lake Michigan for DCMS alumni and their families. 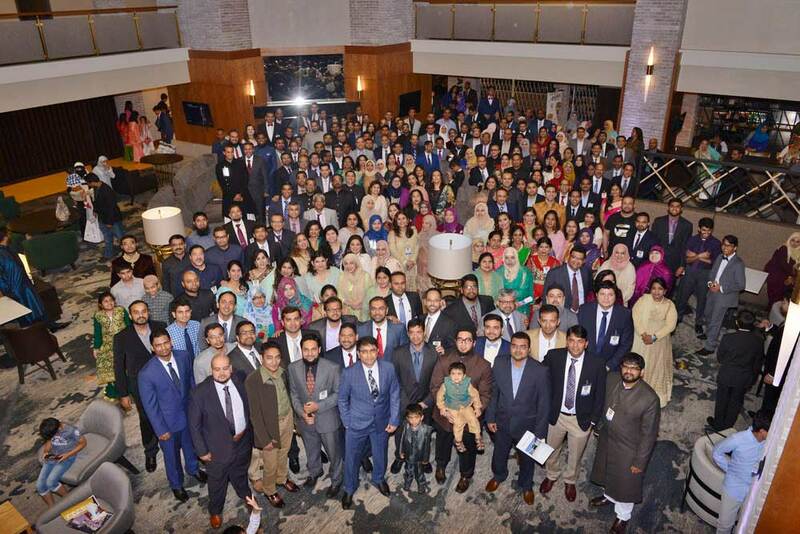 DAANA DCMS global reunion is a biennial event and the next one is planned for Los Angeles, USA in 2020.